NSH Mortgage is committed to helping you find the right mortgage product to fit your needs. We are a local, Florida mortgage broker and are pleased to accommodate in home appointments and closings to fit your busy schedule. NSH Mortgage broker operates throughout the state of Florida with over 20 years of experience. Furthermore, we understand that every borrower is different. Our expert mortgage specialists offer a variety of products to meet your individual requirements. As a result, we make the process of securing a mortgage simple and straightforward. In conclusion, we offer you the latest in financial tools that enable you to make sound financial decisions. 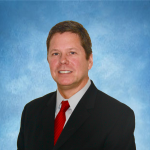 Steve has twenty plus years of diversified experience and success in mortgage origination and management. Currently he is the president and founder of NSH Mortgage. Steve is results oriented, self-motivated, and an award-winning mortgage professional with a demonstrated history of success. He founded Apex Lending, Inc. in 1999 and was instrumental in establishing Apex Lending as one of the top 10 Mortgage Brokers in the country. Steve maintains an A+ Rating with the BBB. He established positive relationships with the governing agencies throughout his tenure with Apex Lending and NSH Mortgage. Steve was a pleasure to work with from the first phone call! He is very knowledgeable and was there every step of the way. We are new to Florida & he went above & beyond as our mortgage broker to make sure we had an easy transition. Furthermore, he answered every phone call and email. We will call him again next year when purchasing our vacation property. I highly recommend NSH Mortgage to anyone! This was the smoothest mortgage for us! The loan closed ahead of schedule with zero problems. Steve is very professional, the best I have dealt with! If you want a hassle free experience mortgage broker, he is the guy to call. I chose to refinance my mortgage with NSH Mortgage broker. Steve Hays, President & Owner, though very busy with other customers, gave time to my questions and concerns. Always a callback, constant communication of my current situation and how I’d benefit in the future. Where this experience might have been stressful, the most knowledgeable group at NSH Mortgage was instrumental in a smooth refinancing experience. Steve Hays was excellent to work with. He knows his business and stayed on top of my file. We had excellent communication through-out the process. I was very satisfied with the overall experience in dealing with NSH Mortgage. We found that NSH Mortgage broker was very friendly & gave us prompt efficient service. Everything was upfront with no surprises. Our Loan Officer was a pleasure to deal with; we will gladly recommend this mortgage company to anyone seeking a mortgage. Call NSH Mortgage broker Today! Call us directly at 800-360-3813 to speak with one of our experienced mortgage specialists. NSH Mortgage, a local, Florida mortgage broker, is pleased to accommodate in home appointments and closings to fit your busy schedule. We operate throughout the state of Florida. We look forward to helping you and your family secure the best mortgage financing on your next home!